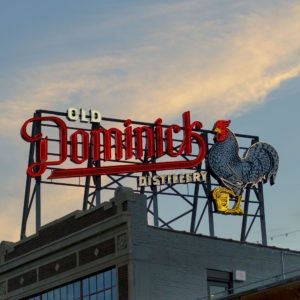 I do not know how I missed knowing about this distillery until sometime in mid-2017 and yet there they have been in Memphis since 1866 and most importantly their mascot is our favorite breed – The Dominique!!!! 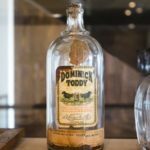 Below are three excerpts from their website on the history of the distillery and it’s relationship to the Dominique. 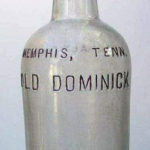 The story of Memphis’ Old Dominick Distillery begins, like most great adventures, with a dream and a voyage. The birthplace of this dream was the Ligurian coast of Italy in the middle of the 19th century, and the dreamer was Domenico Canale, a boy of modest background from an undistinguished hamlet called San Pietro di Reveneto. 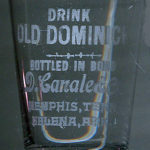 Domenic and Peter started Canale & Bro., a wholesale grocery, confectionary, and liquor supplier. 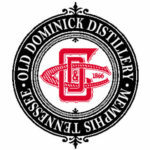 And In 1866, the new company rolled out its own brand of bourbon whiskey. 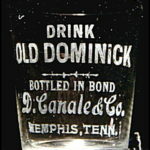 Old Dominick. 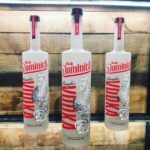 As one of its leading suppliers of drink, Domenico, felt Memphis deserved its own drink to reflect its and his own new, more worldly outlook. 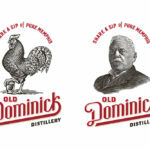 He poured that vision into Old Dominick. 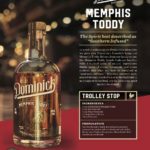 Working closely with Milton, Kentucky’s Richwood Distillery, founded by a family with a rich heritage in whiskey making, Domenico crafted a beverage to his liking — smooth, robust, complex. 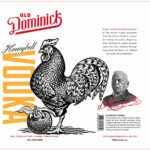 Inspired perhaps by famed distiller James Crow’s Old Crow, one of the most popular and respected bourbon brands of the mid-19th century, Domenico turned to another winged creature for his label, his proud-looking namesake the Dominique chicken or Dominicker. 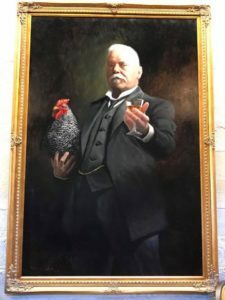 Click on individual pictures to see a full-size version.